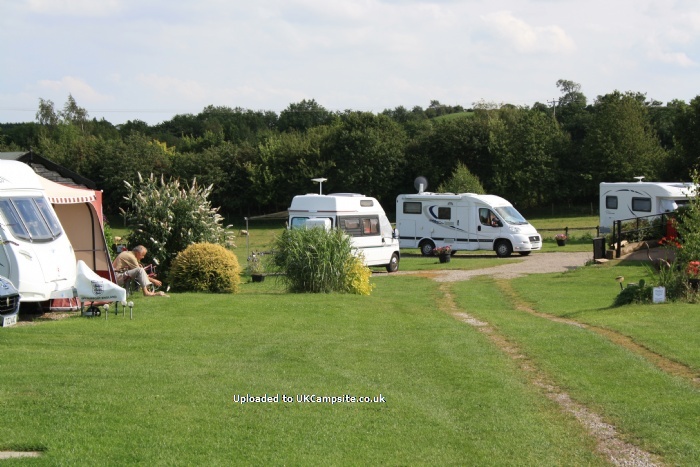 Lovely quiet clean site Well maintained by owners. Good dog walk and exercise area. We will be booking up again. Not to far away from Bedale town centre and good base camp for visiting the Yorkshire Sales. Stayed at Heron's Pond for the warmest weekend of the year so far and what a little gem of a site this is! Within easy reach of the A1, yet no traffic noise. Exceedingly clean showers, toilet and washing-up area and beautifully maintained surroundings. Richard, the owner was very friendly but not in an interfering way, we'll definitely be back! Third time to visit. Great site, in a fantastic location with lots to do in the area. Site is spotless male and female shower and toilets kept spotless and never a queue. There is an area for washing dishes and hand washing and a line is provided for you to use. 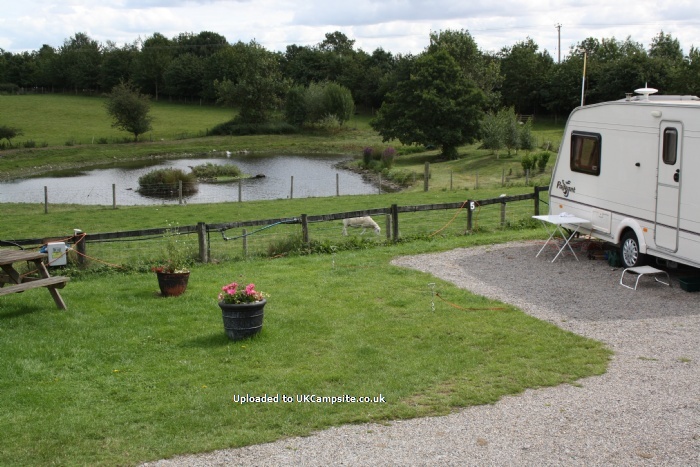 Lovely and quiet with a some pitches over looking the pond. Fantastic dog walk best we have ever seen. Lovely couple run the site friendly but not intrusive. Definitely recommend to book. Once again a very relaxing week away at this very peaceful, beautiful site, set in lovely countryside on a very quiet lane, now and again you can hear the whistle from the steam train in the distance, the dog walk is amazing and also a 1 acre secure field for your pets to run and play in, then a 10 minute stroll to the Bay Horse Inn in Crakehall for a pint and a meal, we will certainly come back again to Herons Pond. Lovely adults only site. Brilliant dog walks our dog especially liked the field the owners have set aside for dogs to have a good run off the lead. We walked to Bedale which is a lovely little town. It's a fairly short walk(10mins) to Crakehall where there is a garage that sells grocery's and newspapers. The only downside was that our pitch 6b was extremely small by the time we put up the awning it was very cramped, we could not get round one side of the motorhome as it was so tight to the fence. But apart from that we loved it. 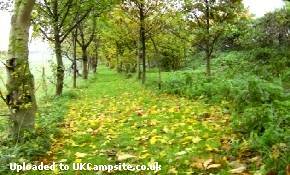 Pretty, quiet and peaceful small site which is adults only, . Pitches are large, facilities whilst dated are cleaned to a high standard. The owners are friendly, although I did get in bother on arrival as they hadn't received our email confirmation which I presume is floating about in cyber land. The area around offers some wonderful walks. Bedale is a lovely little town with a mix of individual shops, pubs and cafes. 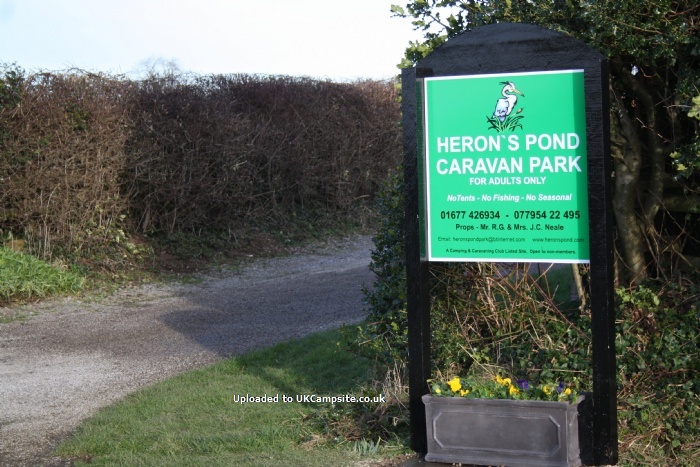 We met up with neighbours who were spending a week at Herons pond along with their dogs Tes and Tia. 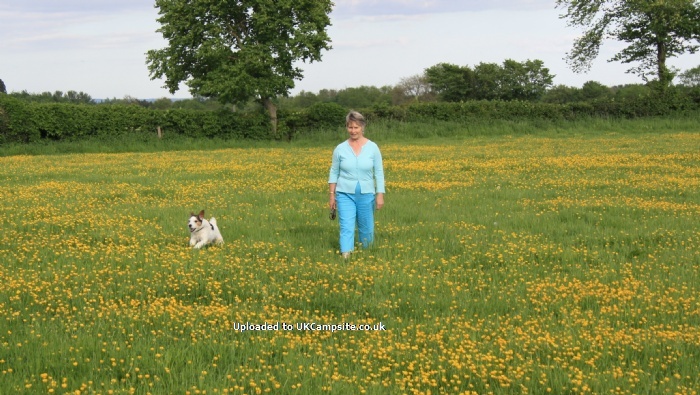 Ourselves and our two dogs Ralph and Ping enjoyed some lovely walks across countryside and into Bedale enjoying the company. Would we return ? Yes, but having the means to travel and see different places we don't often do returns unless its a impromptu getaway. Can only say positive things about this site, we stayed for 2 weeks and enjoyed every day, the pitches are very spacious, the showers and toilets were spotless as was the CDP, The dog walk and field for them to run free in was fantastic, the pub in Crakehall 10 mins away was very friendly with good beer and food (check opening times)we will be back again at this again very soon. Our fourth visit to Heron's Pond and I doubt it will be our last. Very peaceful site - adult only so an ideal spot for a break taken during school holidays. The pitches around the pond are not the largest but benefit from a lovely outlook. Those away from the pond have masses of room around them. The facilities are spotless and roomy. The owners are friendly and discreet. It is ideally placed for touring the area in a car. You can walk from the site but if you want to do a serious hike then you really need to drive a bit further afield. The local pub is walkable but only opens in the evening. It serves food every night apart from Monday. Bedale is a short drive away for shops, restaurants and more pubs. They are opening a new bypass around Bedale in the Autumn so if you are arriving from the direction of the A1 your journey will be easier on the clutch! Overall would thoroughly recommend this site if you are looking for a peaceful break in a beautiful area. I spent a few nights here in my Large motorhome. I was on pitch 6, perfect size for my vehicle. I agree that pitch 6a is a bit smaller but just inform the owner of the size of your vehicle and he will allocate the correct pitch. 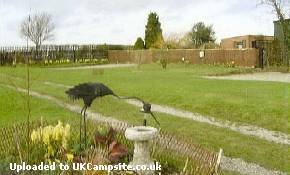 It's an idyllic setting overlooking a large pond, plenty of wildlife to see including a number of sheep in the field. 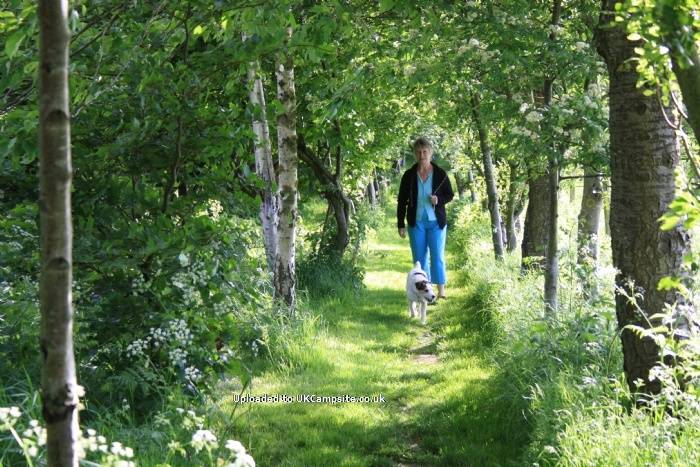 Plenty of dog walking paths with little spades along the route to carry out the necessary! Also a tap and bowl. The site is peaceful, no shop, reception or clubhouse. Ideal for us. There's a garage 10mins walk away in Crakehall which is a mini market. Also a pub in the village selling food. The washing facilities are brilliant. One toilet each for ladies and gentleman. One full shower room each too, with shower cubicle, toilet, wall heater, sink etc. Spotlessly clean at all times, plenty of nice liquid soap and paper towels. Dish washing area, again spotless. Bowl and draining rack provided, also Fairy liquid if you have forgotten your own. The site is well run and maintained. The owner and his wife have a beautiful house and fab garden next to the campsite, both very hardworking. I have already recommended the site and will definitely return! 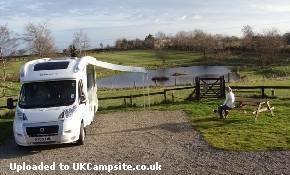 We used this site as a stopover on our way up to Edinburgh as it is only a short distance from the A1. 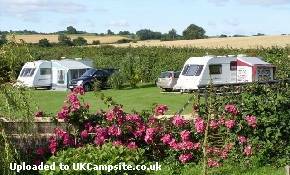 It is an immaculately kept site in a peaceful setting. Facilities are very good with individual shower rooms for ladies and gents. There is a dog friendly pub in the village which is only a 10 minute walk away. Would definitely use this site again, either as a stopover or to explore the surrounding area.